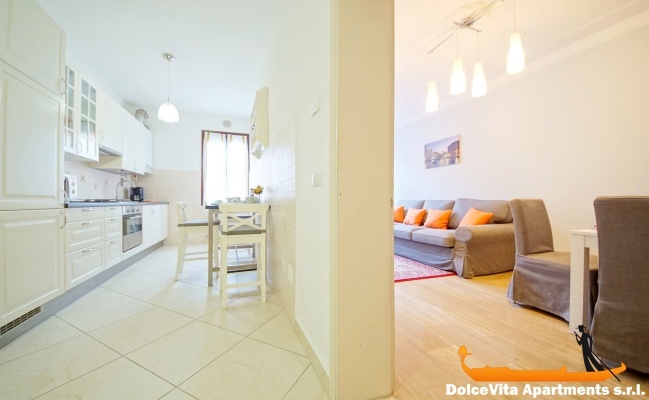 Apartment N. 266: It can accommodate up to 5 people, it is rented from 169 € per Night (not per person). 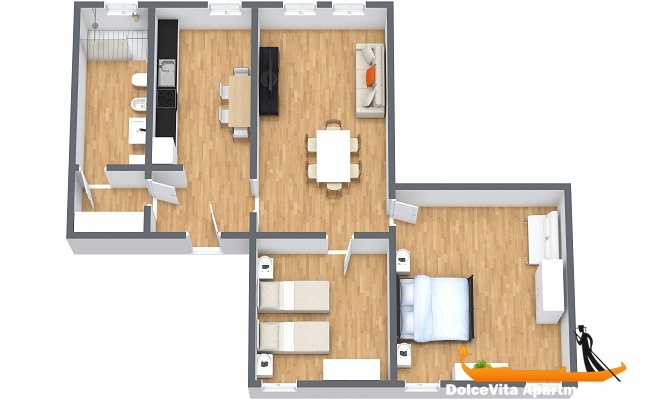 New Venice Apartment Santa Croce: Elegant apartment on the second floor in the center of Venice, in Santa Croce. 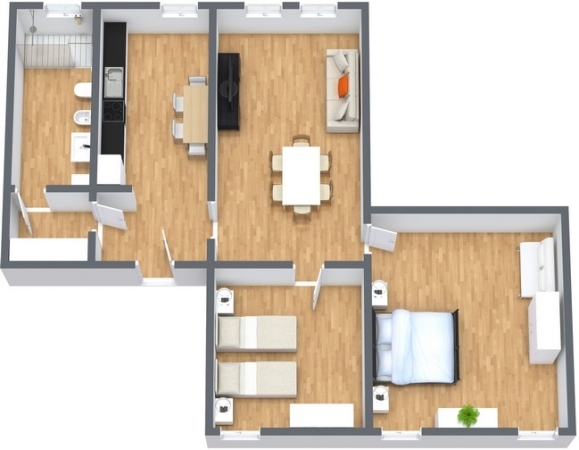 With a kitchen, a living room, two bedrooms (one double and one twin) and a bathroom with shower, the apartment can accommodate up to 5 people. Furnished with care and very bright, it is great to travel or to the city center, or to the other islands of the lagoon. It is located less than 200 meters from the Riva de Biasio vaporetto stop. 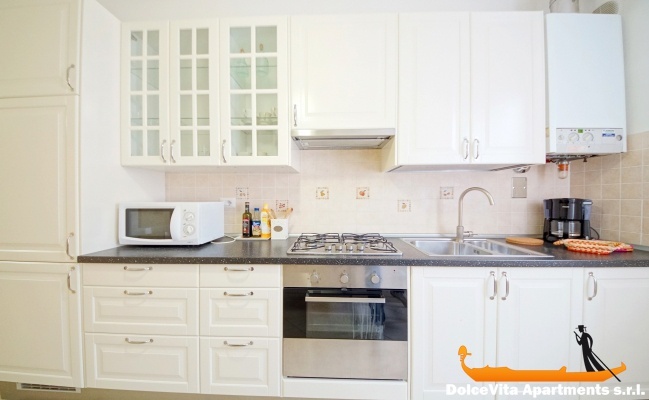 The kitchen is fully equipped including oven, microwave, blender, refrigerator and espresso machine. In the apartment there are also Wi-Fi, air conditioning and satellite TV. Towels, sheets and blankets are supplied. For families with a baby, a high chair and a cot are available. The house is very close to the Church of San Stae, where there are works of the greatest Venetian artists of the 18th century, including Antonio Tarsia, Antonio Corradini and Francesco Cabianca. 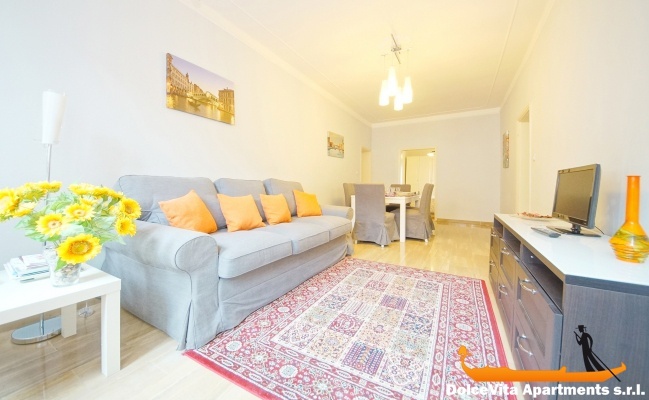 We give 4 to the apartment N.266, it is a nice apartment, well furnished. The area is quiet and near the vaporetto, there is a grocery store located not far away. The stairs are a bit difficult especially with the suitcases. We appreciated your service, no problems to report. Very easy to reach and to visit the city. Bright spacious clean. The service was immediate complete and careful. Very friendly people that welcomed us.